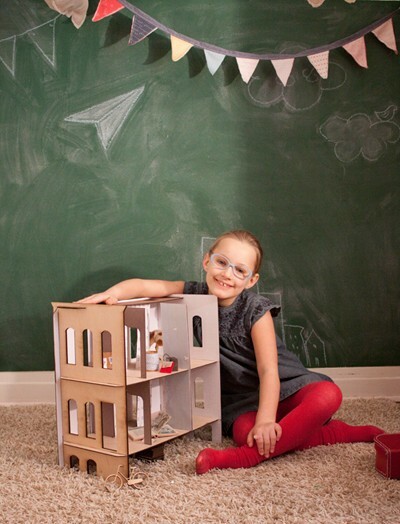 Lille Huset modular doll houses are now available! We show you quite a few Kickstarter projects and you may wonder what becomes of them after the pledge period has ended. This is the story of one Kickstarter project that has gone into production. 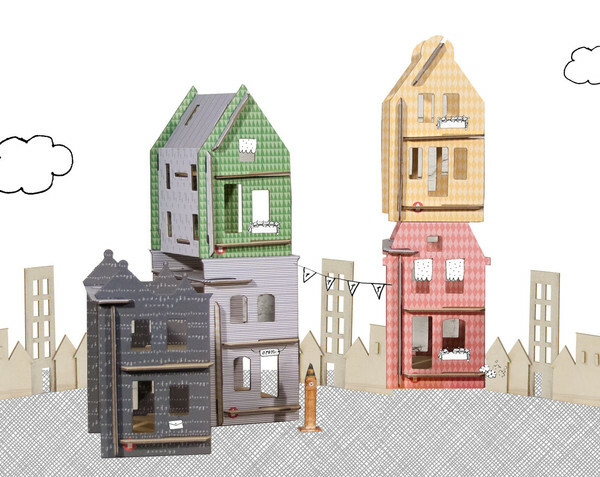 Last year we introduced you to Lille Huset doll houses. Through Kickstarter, designer Alyson Beaton aimed to raise enough money to fund the production of her very sweet flat-packed doll houses. The doll houses were simple enough for kids to put together on their own and could be decorated in any way they fancied. We particularly liked Beaton’s idea of a birthday party kit of doll houses. 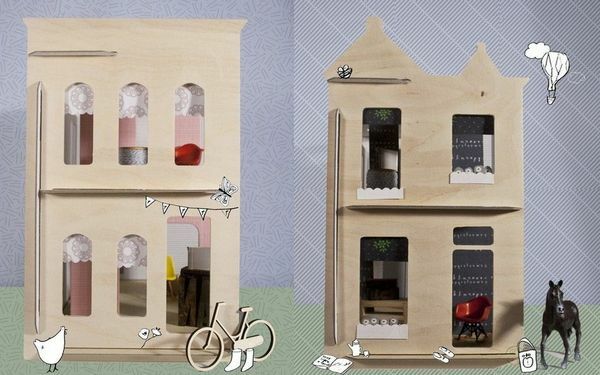 So we are very happy to report that Lille Huset doll houses are now a reality. There are five designs available, ranging from the classic Chelsea house to the traditional pitched-roof style of the Doro or the elegant turrets of the Logan house. There’s also a shop to complete your Lille Huset streetscape. The houses are available in a range of sizes and materials. Small houses are made from printed laminated cardboard while the larger, classic styles have a front piece made from Baltic birch and other pieces made from cardboard. The cardboard pieces can be bought in replacement packs so that you can pass your house on or start again, reusing the wooden front piece – perfect for doll house renovations! Each house kit comes with house components, a DIY design ideas book and an activity sheet to compliment your house. Apart from the simple, modern styling, I love the fact that the houses can be packed up (a doll house can be a big investment of space in a play area) and that they are relatively inexpensive. I debated for a long time as to whether to buy my kids a doll house – the fabulous ones had price tags to match – Lille Huset provides an excellent option for those who are doll house hunting. Classic Lille Huset doll houses are priced from US$50-$65. Small houses begin at US$10 and the birthday party kit begins at US$35. Lille Huset ship internationally.